STEWART, CHARLES JAMES, clergyman of the Church of England, bishop, and politician; b. 13 or 16 April 1775 in London, third surviving son of John Stewart, 7th Earl of Galloway, and his second wife, Anne Dashwood; d. there unmarried 13 July 1837. Charles James Stewart’s early life was spent in Galloway House, Scotland, on his father’s great but secluded estate. His tutor, the Reverend Eliezer Williams, is said to have recognized in him a “young man of the richest promise.” In 1792 Charles matriculated to Corpus Christi College, Oxford, where he received a ba in 1795; he was granted an ma four years later by All Souls College. Stewart was ordained to the diaconate of the Church of England in December 1798 and to the priesthood on 19 May 1799, both ceremonies being conducted in Oxford Cathedral. His decision to enter the ministry, and his orientation once in it, were no doubt influenced by Williams, son of a convert of the Methodist evangelical George Whitefield, and by his sister Catherine, Lady Graham, a friend of William Wilberforce and a disciple of Isaac Milner, two other eminent evangelicals. In June 1799 he was collated to the rectory of Orton Longueville (Orton), which he would retain until 1826. Stewart had early contemplated missionary work overseas. In 1806, when the Anglican bishop of Quebec, Jacob Mountain*, was in England on furlough, Stewart’s bishop, George Pretyman Tomline, recommended him. Mountain quickly appointed Stewart to the seigneury of Saint-Armand, Lower Canada, and even suggested that he succeed as bishop should Mountain obtain a much desired translation. Mountain failed to secure a new post, however, and it was simply as a missionary that Stewart arrived at Quebec on 27 Sept. 1807. “So unusual an undertaking in a man of family and independence,” according to a sister of the bishop, “could not by the world in general be attributed to any but an enthusiast and a methodist.” However, Stewart met several leaders of Quebec society, including President Thomas Dunn*, John Hale, Herman Witsius Ryland, and Jonathan Sewell, and laid all fears to rest. After proceeding to Montreal, where he was received by leading businessmen, such as William* and Duncan* McGillivray, Joseph Frobisher*, John Richardson*, James McGill*, and Isaac Todd*, he continued on to his mission. Saint-Armand, on the Vermont border, was the seigneury of Thomas Dunn. A missionary of the Society for the Propagation of the Gospel, John Doty, had visited it as early as 1798, and from 1800 three others, James Marmaduke Tunstall, Robert Quirk Short*, and Charles Caleb Cotton, had served it while living in the western part at Philipsburg. Stewart, however, settled at Frelighsburg in the east. When Cotton opened a mission in adjacent Dunham Township in 1808, Stewart assumed charge of western Saint-Armand. Stewart was continually on the move, and not only in Saint-Armand. Each year he journeyed to Montreal, sometimes more than once, conducting baptisms on the way, particularly at Caldwell’s and Christie manors – also known as the seigneuries of Foucault and Noyan – where no resident missionary would be appointed until 1815. Neighbouring Shefford Township saw him from 1808 to 1810, and townships east of Saint-Armand in 1810 and 1813. He made frequent visits to Vermont, ministering to a congregation at Sheldon. Stewart’s pastoral work took many forms. To provide a focus for spiritual study during his absences he had a number of his sermons printed from 1810 to 1814, hundreds of copies of which were distributed freely. He evinced a keen interest in education and financially or morally supported the construction of several schools, subsequently paying the fees of many students. 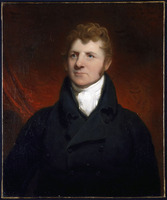 In 1812, although he entertained reservations about the judgement of the Congregational minister Thaddeus Osgood*, he helped him to raise money in England for an educational scheme, a humane society, and an asylum in the Canadas by providing him with introductions to influential friends. Mountain did not approve. During the War of 1812, when American troops twice entered Missisquoi Bay and foraged as far as Frelighsburg, Stewart remained with his flock, dispensing assistance to sufferers and arranging an exchange of local militiamen captured by the Americans in October 1813. In 1815, after seven years’ intense labour and close observation of the townships, Stewart published A short view of the present state of the Eastern Townships . . . , intended to provide prospective immigrants with a concise description of the climate, topography, economy, and population of the region. In it he encouraged acceptance of American immigrants as “in many respects . . . the best settlers in a new country” and argued that the most effective means of acquiring their loyalty was to ensure their welfare and prosperity. In August 1815, freed from his duties by the ordination and appointment as curate to Saint-Armand of James Reid, a local schoolmaster, Stewart returned to Britain on a visit. He expended much time and effort in raising, with Mountain’s authorization, a fund of £2,500 for the building of churches in the Canadas. In 1816 Oxford conferred on him honorary degrees of bd and dd, and he arrived back in Lower Canada in November 1817. Finding Saint-Armand progressing favourably under Reid, he began a second pioneering effort at Hatley, some 50 miles to the east. In 1819 he opened a church, and a parsonage was nearing completion. As before, he journeyed through nearby townships, giving constant encouragement to church building, now facilitated by the fund he administered. 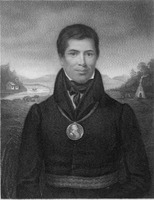 In 1819 Stewart was named travelling missionary by Mountain and the SPG to strengthen the church throughout the diocese. His appointment coincided with the beginning of heavy immigration to Upper Canada, which called for the kind of practical work he did. The laborious travelling increased. Leaving Hatley in January 1820, he made a grand tour of Upper Canada from Hawkesbury through Glengarry, Cornwall, Kingston, York (Toronto), and Niagara (Niagara-on-the-Lake) to Sandwich (Windsor). By the time he reached Hatley again in June 1820, he had covered nearly 2,000 miles. After a trip to England in 1820 he spent more than a year in 1821–22 journeying through the diocese. He was sent to England in March 1823 to defend Anglican claims to exclusive benefit from the clergy reserves, lands set aside to support a Protestant clergy. On this occasion Stewart also reopened his building fund, raising another £2,500, and sought government support of the Royal Institution for the Advancement of Learning [see Joseph Langley Mills*], of which he had recently been made a trustee. 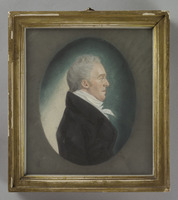 Soon after his return to Lower Canada, in November 1824, he again toured the townships, and he was travelling in Upper Canada when Mountain died in June 1825. Having remained the bishop’s choice as a successor, he returned to England in July, and in November he received the appointment. He was consecrated in the chapel of Lambeth Palace on 1 Jan. 1826. In his new role Stewart kept continually on the move. His vast diocese, which covered the populated area of the Canadas, included 50 parishes or missions, as many clergy, and 63 churches. From his arrival at Quebec in June 1826 until he visited England again in 1831, he journeyed to Upper Canada each year, conducted three complete visitations of that province, twice visited missions on the Ottawa River and in the Eastern Townships, and made the first Anglican episcopal tour of the Gaspé and the Baie des Chaleurs. In this first half of his episcopate he ordained 30 men, opened 17 new missions, and confirmed 3,800 persons. Beginning in 1830–31 he spent winters in York to enable him to pay closer attention to church affairs in the upper province, where thousands of immigrants were settling. His visitation of 1832 brought together many clergy at Montreal and at York despite a cholera epidemic. The following year he journeyed extensively eastward from York, and in 1834 he visited the Eastern Townships and Upper Canada. Two major problems – the clergy reserves and a reduction in government grants to the SPG for payment of missionaries’ salaries – plagued Stewart’s episcopate but initiated the maturation of the colonial church. Challenges to exclusive Anglican control of the clergy reserves took two forms. The Church of Scotland claimed equal rights to proceeds from sale or rent of reserve lands, while other denominations, and even some Anglican laymen, rejected establishment and demanded secularization of the reserves in favour of public education. Stewart dutifully defended the Anglican position, but he was not a fighter and lacked political instincts. 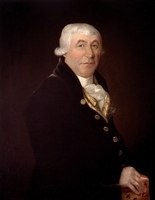 Although appointed to the legislative and executive councils of both colonies, he seems never to have attended meetings of either council in Upper Canada and to have appeared only irregularly in those of the lower colony. The pressure for secularization being greatest in Upper Canada, where the reserves were more extensive, it was the combative archdeacon of York, John Strachan*, who shouldered the brunt of the Anglican defence, but with an aggressiveness not always to Stewart’s liking. Indeed Stewart, who preferred to live in peaceful coexistence with other denominations, made every effort not to intensify bitterness over the issue for fear that the church would become an object of general opprobrium and possibly from an understanding that privileges for any church were not acceptable to colonial society. 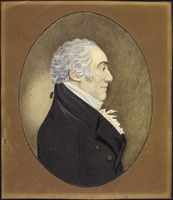 The need to strengthen the church in the face of attacks, however, gave rise under Stewart to the founding in 1827 of a diocesan publication, the Christian Sentinel and Anglo-Canadian Churchman’s Magazine (Montreal), edited for part of its short life by Brooke Bridges Stevens*. The consequences of possible secularization of the clergy reserves were made more serious by a coincidental desire on the part of the British government to eliminate its grants to the SPG for the payment of missionaries’ stipends. Since 1815 these grants had been the principal support of the church’s work, enabling its missionaries to receive salaries averaging £200 per annum. Initially the government proposed to eliminate the grants by 1835 but, as a result of protests by Stewart and the SPG, ultimately clerical stipends suffered a reduction of some 15 per cent only. In Upper Canada income from the sale of clergy reserves replaced the grants from the SPG. Stewart had also to be concerned for his own stipend, amounting to £2,600 a year and a house allowance of £400. It and a number of other clerical salaries were paid from the army extraordinaries, a practice under attack by the increasingly strong movement in Britain for parliamentary reform. In the end the stipends were continued, but only for the lives of the incumbents. Such threats to external sources of income had the effect of obliging the church to look within for funding, and in January 1834 Stewart issued the first call to Anglicans in the Canadas to support their clergy financially. Similarly, Stewart’s episcopate witnessed the beginnings of a movement for self-government within the colonial church. In 1831 the Established Clergy Association of Lower Canada was formed in Montreal, and it was followed by similar bodies elsewhere. By 1836 pressure began building in favour of diocesan synods with lay participation, although the first would not be held until 1853. In these developments Stewart’s role was not prominent, but in another, increasing lay participation in the church, he was a catalyst. With finances for clerical salaries restricted, and immigration increasing, Stewart supplemented the labours of the clergy by appointing catechists to act as lay readers. Initially sceptical, the SPG nevertheless funded the program, which became one of Stewart’s most effective creations; indeed ten lay readers were subsequently ordained to the priesthood. While contending with new developments Stewart did not lose sight of his traditional commitments to education and missions. 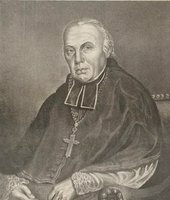 At the time he became bishop Sunday schools were beginning to function successfully; National schools, in which the monitorial system was used and the church catechism taught [see Joseph Spragg], had been set up in Montreal, Quebec, and York; and in a number of Royal Institution schools church influence was strong. Stewart himself lent his support to a Sunday school society begun in 1830 by his replacement as travelling missionary, George Archbold. Although named the official visitor to King’s College (University of Toronto) when it obtained its charter in 1827, Stewart largely left that institution to its founder, John Strachan. 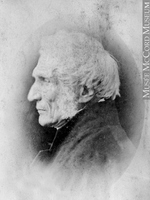 As ex officio principal of the Royal Institution from 1826, however, he was active in arduous efforts to set on foot McGill College in Montreal, the financial basis of which, a bequest to the Royal Institution from James McGill, was being contested in the courts by McGill’s chief heirs, François* and James McGill Desrivières. On 24 June 1829 Stewart was able to deliver an address at the opening of the college, although its legal problems were far from over. 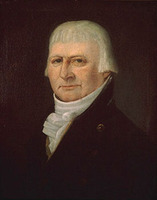 A member of the governing body, he attended board meetings at Quebec until 1835. 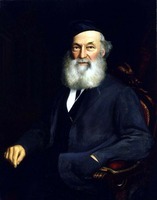 Stewart’s most active contribution to education, however, stemmed from a desire to foster a native-born clergy. In 1828 he opened a seminary at Chambly, on the Rivière Richelieu, over which he placed a recent Oxford graduate, Joseph Braithwaite; 12 students were ordained before the school closed in 1838. Stewart’s other main preoccupation as bishop was missionary work. Although he had always favoured evangelization of the Indians, he was stimulated to action by Methodists in Upper Canada, among them John and Peter* Jones, and by Roman Catholics such as Joseph Marcoux* in Lower Canada. He did not begrudge them their success; rather he exhorted Anglicans to catch the Methodists’ fervour and, in 1827, he asked Roman Catholic archbishop Bernard-Claude Panet* for a copy of Marcoux’s Mohawk dictionary and grammar. In October 1830 he presided at the founding in York of a society for missionary work among Indians, which later that year broadened its scope to include destitute settlers; it operated for eight years. A similar society was formed at Quebec in 1835 and subsequently in Montreal. To support missionary work, Stewart relied principally on the SPG, but he was obliged to appeal continually in the Canadas and in England for men and money. 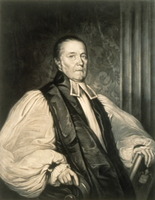 In 1834 he had circulated widely an Address from the bishop of Quebec to the British public, in behalf of the Church of England in Canada, making known the needs of his diocese. Inspired by it, the Reverend William James Darley Waddilove instituted the Upper Canadian Travelling Missionary Fund – or Stewart Missions – which in 13 years’ existence supported at least 11 missionaries. Also as a result of the Address, the Upper Canada Clergy Society was founded in England in 1835–36 to supply and support missionaries from Britain. A lay effort, it initially encountered reticence on the part of Stewart, who had reservations about its Anglican commitment and relationship with the SPG, and then about the principle of having missionaries recruited by laymen; consequently it did not get into operation until 1837 and sent out or paid only some six missionaries before folding. Clerical recruitment, nevertheless, was another area in which Stewart achieved a measure of success; by 1837 his diocese counted 50 clergy in Upper Canada and 35 in Lower Canada. Growth did not match the rise in population, but it was respectable given the financial restrictions and political problems the bishop faced. Stewart’s unremitting labours resulted in his falling ill at Toronto in April 1835. Unsuccessful attempts to lighten the episcopal burden by dividing the diocese had been made periodically by Mountain and were repeated by Stewart in 1829 and 1831. Stewart’s condition spurred another effort, and in 1835 he sent Archdeacon George Jehoshaphat Mountain* to England. Mountain succeeded in having created the position of suffragan bishop, with the title of bishop of Montreal but no salary; after much hesitation he consented to fill it and was consecrated in February 1836. On his return to Quebec he was commissioned by Stewart to administer the diocese from 17 September, and nine days later Stewart left for England. After slowly failing, he died in London in July 1837. Having entered on his episcopate after almost 20 years’ experience in colonial society, Charles James Stewart had approached his duties differently from his predecessor. Although prepared to receive the courtesies and accept the appointments due to his office, and ready to defend the privileges of the establishment, he subordinated such matters to the maintenance and extension of the church in colonial life, urging self-support and peaceful coexistence with other denominations in a pluralist society. Unmarried, enjoying a moderate private income in addition to a substantial salary, he was relieved of the financial and domestic concerns that were Mountain’s lot and was thus able to travel extensively and spend freely on behalf of the church. He supported individual missionaries entirely, advanced funds to needy clergy and catechists, paid his own travel expenses and the salaries and expenses of his chaplains, subsidized the Christian Sentinel and Anglo-Canadian Churchman’s Magazine, subscribed generously to societies for relief of the needy and to church building funds, and yet left a substantial estate to nieces and nephews and their families. 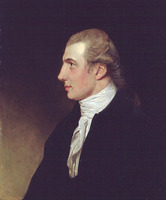 Stewart’s membership in a noble family gave him advantages in representing the needs of his diocese to the British government and people. Unlike the strapping but controversial Mountain, Stewart was somewhat ungainly in appearance and without pulpit gifts, but thanks to the simplicity of his disciplined life and to his humility, benevolence, and deep personal piety, he was almost universally liked and respected. The poet Adam Kidd* addressed him in a few artless stanzas as the “kindest, best of men.” Even the critical Strachan paid a warm tribute to his departed diocesan in September 1837. A man of practical wisdom, unceasing activity, and religious zeal, Stewart left a record worthy of grateful remembrance. An extensive list of Charles James Stewart’s published works can be found in an appendix to T. R. Millman, The life of the Right Reverend, the Honourable Charles James Stewart, D.D., Oxon., second Anglican bishop of Quebec (London, Ont., 1953), which also includes a portrait of the bishop. One publication not cited in Millman’s study is A selection of psalms and hymns . . . (Montreal, 1808). ACC, Diocese of Montreal Arch., G. J. Mountain papers. ACC-Q, 29, 32, 40, 44, 46–71, 81, 91–96, 103–5, 107, 109–16, 118, 123, 129, 330–31. Bishop’s Univ. Library (Lennoxville, Que. ), C. J. Stewart to Lucius Doolittle, 1828–35. Holy Trinity (Anglican) Church (Frelighsburg, Que. ), Docs. relating to the establishment of the mission at Saint-Armand. PAC, MG 23, GIII, 3; RG 4, A1; RG 7, G1. PRO, CO42. RHL, USPG Arch., C/CAN/Que., 4: 370; C/CAN/Toronto, 4: 501; journal of SPG, 29–43. 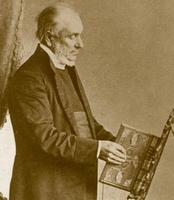 Ernest Hawkins, Annals of the diocese of Quebec (London, 1849); Annals of the diocese of Toronto (London, 1848). SPG, [Annual report] (London), 1808–12, 1814–15, 1818–19. The Stewart missions; a series of letters and journals, calculated to exhibit to British Christians, the spiritual destitution of the emigrants settled in the remote parts of Upper Canada, to which is prefixed a brief memoir of . . . Chas. James Stewart, lord bishop of Quebec . . . , ed. W. J. D. Waddilove (London, 1838). Eliezer Williams, The English works of the late Eliezer Williams, M.A., vicar of Lampeter . . . with a memoir of his life, ed. S. G. A. Williams (n.p., 1840). Christian Sentinel and Anglo-Canadian Churchman’s Magazine (Montreal), 1, 15 Oct., 12 Nov. 1830. Church, 30 March, 12 Oct., 9 Nov. 1839. Missiskoui Standard (Frelighsburg), 12 Sept. 1837. Montreal Gazette, 27 Aug. 1833. Montreal Herald, 19 Aug. 1815. Quebec Gazette, 1 Oct. 1807; 24 Aug., 21, 23 Sept. 1836. Quebec Mercury, 6 June 1826; 11 June, 17, 20, 22, 27 Sept., 11 Oct. 1836. W. B. Heeney, I walk with a bishop (Charles James Stewart) (Toronto, 1939). Lives of missionaries, North America: John Eliot, Bishop Chase, Bishop Seabury, Bishop Stewart, Rev. J. G. Mountain (London, ). 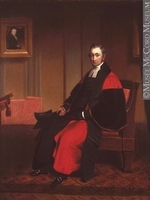 T. R. Millman, A brief account of the life of the Honourable and Right Reverend Charles James Stewart, D.D., second lord bishop of Quebec (Edinburgh, 1948); Jacob Mountain, first lord bishop of Quebec; a study in church and state, 1793–1825 (Toronto, 1947). G. H. Montgomery, Missisquoi Bay (Philipsburg, Que.) (Granby, Que., 1950). A. W. Mountain, A memoir of George Jehoshaphat Mountain, DD., D.C.L., late bishop of Quebec . . . (London and Montreal, 1866). J. N. Norton, Life of Bishop Stewart of Quebec (New York, 1859). C. F. Pascoe, Two hundred years of the S.P.G. . . . (2v., London, 1901). Cyrus Thomas, Contributions to the history of the Eastern Townships . . . (Montreal, 1866). T. R. Millman, “Training of theological students in the old diocese of Quebec,” “Joseph Braithwaite and the Bishop Stewart Theological Seminary,” “The Christian Sentinel and its editors,” “Home missions in the old diocese of Quebec,” “The earliest collections of prayers printed in the Canadas for the use of members of the Church of England,” and “Royal silver in the Church of England in Canada,” Montreal Churchman (Granby), 27 (1939), no.4: 16–19; no.8: 20–22; no.12: 9–10; 28 (1940), no.9: 10–11; 31 (1943), no. 10: 10–11; and 34 (1946), no.2: 3–4 respectively. “Philipsburg, St. Armand West” and [James Reid], “Frelighsburgh,” Church Chronicle for the Diocese of Montreal (Montreal), 2 (1861–62): 167–73 and 153–57 respectively. Thomas R. Millman, “STEWART, CHARLES JAMES,” in Dictionary of Canadian Biography, vol. 7, University of Toronto/Université Laval, 2003–, accessed April 24, 2019, http://www.biographi.ca/en/bio/stewart_charles_james_7E.html.